I found this beautiful quote that, to me, sums up living good in 2015. "Contentment celebrates grace. The contented heart is satisfied with the Giver and is therefore freed from craving the next gift ... Here is one of the most beautiful fruits of grace-- a heart that is content, more given to worship than demand and more given to the joy of gratitude than the anxiety of want. It is grace and grace alone that can make this kind of peaceful living possible for each of us." Isn't that just so true? To be happy in the moment. Satisfied and so full you have nothing more to want. The fruit of grace...a heart more given to the joy of gratitude than anxiety. Simple things give me contentment and joy. How I NEED to have flowers. Just a simple jar evokes joy every time I look at it. It's like a burst of Spring happily calling me from the kitchen table. I have a plan to grow more flowers this year, in spite of windy, dry conditions, and to sell bouquets in my little stand. I am also going out on a limb and applying for a scholarship to this marvelous workshop on the other side of our state. I am in love with Erin's aesthetic design. 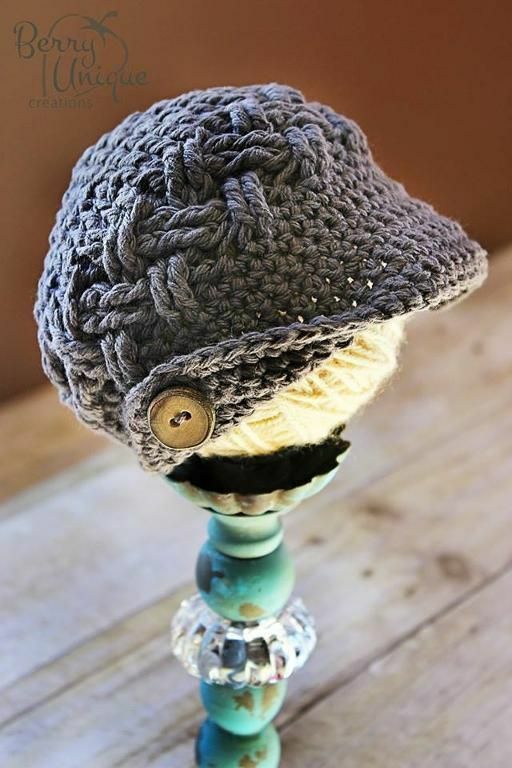 I actually followed my first crochet pattern and made this comfy and charming newsboy hat. If you'd like a gander at it, here is the link. My Pinterest board has a few goodies, if you like crocheting, too! I really, really want to try this pattern, but it looks a little advanced yet for my beginner skills. I have been doing a little sewing and whipped up a couple of pillows for the living room from a piece of old ticking I had in the closet. Old ticking should never stay in a closet! I love blue and white. The kids made beautiful snowflakes to string on their bedroom window, happily dancing in the light. Here is to good living this year. A year full of grace and abundant contentment. You said: Old ticking should never stay in a closet. I say... AMEN!! and once again, you inspire me!!!!!!!! Lovely. Simply lovely post here this morning. Enjoy your day- my friend!! I love flowers too. I have some paperwhites on the kitchen counter right now. It makes me more content to live today. Today is what I have. God bless your new year 2015! Connie...you are so right! I think as I have aged, contentment has become more of a choice that I remind myself of daily. Love your wise words! Gumbo Lily, I always plan on planting paperwhites...and never do it! I love those flowers and their aroma is just delicious. Happy New Year to you, too! Lisa, you are so sweet! Crocheting is so fun and relaxing. I am enjoying learning from You Tube. It is handy to SEE how to do a stitch! I am so glad you made the pom-pom garland! What fun!